Album: Lateralus / "Rare DOUBLE Vinyl"
Album Notes: Ok, I do not own this. I do not need to. It is a FAKE release. A poor, poor BOOTLEG that offers nothing but a (probable) CD > Vinyl transfer. This is moot as the actual release of Lateralus by Tool was mixed differently for the vinyl release. This just a sad & poor attempt at making a bootleg. This is a different version, obviously, from the blue version because it is "more complete" as it is a "double album". Blah. This is a mysterious print of Lateralus LP. This was played only one time by me. 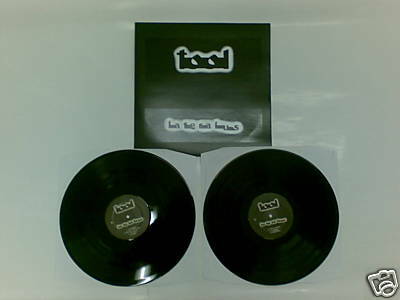 The tool logo and the title of the record are printed on a stiker applicated on the cover, maybe you could see in the photo. On the vinyl label there are the tool logo, the lateralus logo and the songs title. I don’t have any other information about this record.